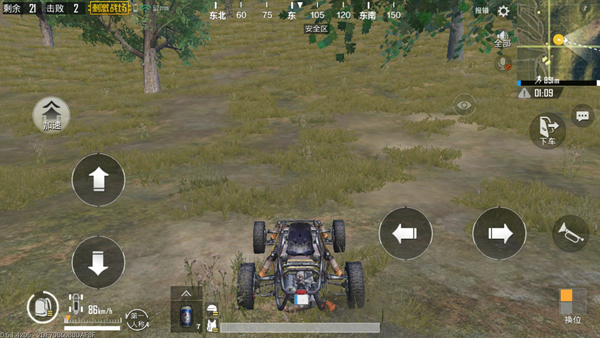 PUBG Mobile: The vehicle plays a vital role in stimulating the battlefield. It can not only improve the player’s movement speed, but he can also be used as a mobile carrier and attack weapon. Use of a download tool. There are two types of vehicles, one is a land vehicle and the other is a water transporter. The water delivery equipment is currently only a ship, and the operation is very simple. Therefore, detailed explanations are not given. The land carriers are mainly explained here. There are many land vehicles. Each vehicle has its own characteristics. The most cost-effective one is a jeep. Jeep has the best offensive and defensive ability. Its greatest advantage is its defensive ability. It can accommodate 4 individuals and it is easy to drive. Players are recommended to use Jeep as the preferred vehicle. Faster vehicles are motorcycles and cars, and motorcycles seem to have poor defense. However, if a player runs on a motorcycle, it is very difficult to be shot by the enemy. The most adaptable vehicle is a car, and the moving speed of the car is very fast, but only a small number of people. Difficulty is the bus, and it is recommended that novice players try cautiously, but the use of a bus as a bunker is still very practical. 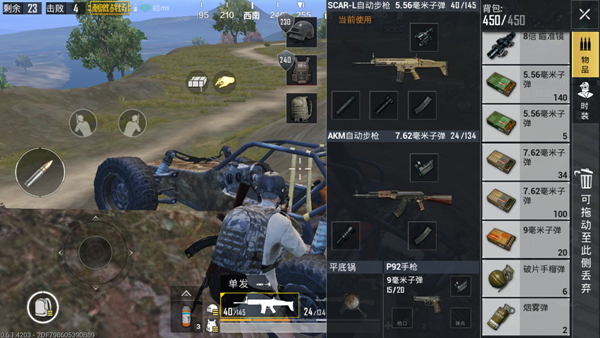 PUBG Mobile: There are only 5 buttons for stimulating operations on the battlefield. The most common buttons for many players are the left and right buttons and the accelerator button. The remaining forward and back buttons are hardly used. In fact, this wrong driving method. The accelerator has severely damaged the balance of the vehicle and increased the difficulty of the player’s operation. Many players have neglected security in pursuit of speed. Actually, the accelerating button is used just when it starts to drive the vehicle. After the speed is stable, there is no need to force acceleration. The back button can greatly improve the stability of the vehicle. Players must keep moving forward at all times. In the face of bad terrain, stable forward is the key. When uphill, the player can hold down the accelerator to increase the vehicle’s horsepower, downhill It is recommended that players use the back button to control the speed. The horn of the vehicle is mainly used to attract enemies. When the player rides a lap, he must first observe the terrain. Have a clear plan before starting, do not blindly adopt the “closest principle”, the difference in terrain will affect the speed of the vehicle’s movement, in most cases, the use of road detour use time is actually faster than the straight line of use time Much more. Vehicles are necessary for wild tactics. In order to master the right to take the initiative on the battlefield, a flexible driving vehicle can kill enemies in the beginning of the game! Bridges, airdrops, and laps are all essential items. It can be Help the player to escape successfully. When an enemy is ambushed in an open space, he can use the vehicle as a cover to follow the situation. Start a counterattack. 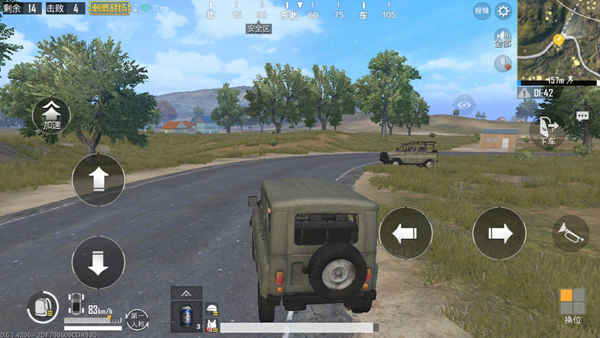 The refresh of the vehicle is regular, and the normal refresh location is near the road. Or in the garage, and they park there is a rule, once the vehicle is found in the grass or mountains, then the player should pay attention. When a single person is driving a vehicle, click on the lower right corner as soon as the enemy shoots. Change position, the game character will automatically leave from the main driving position and disappear in the locked view of the enemy. There are various types of vehicles and they are fully utilized. Will make the player further away from eating chicken! PUBG Mobile guide Sweep Train Share! Teach you to deal with enemy vehicles on the move!